Hollywood star Hedy Lamarr was known as the world's most beautiful woman – Snow White and Cat Woman were both based on her iconic look. However, her arresting looks and glamorous life stood in the way of her being given the credit she deserved as an ingenious inventor whose pioneering work helped revolutionize modern communication. Mislabeled as “just another pretty face,” Hedy’s true legacy is that of a technological trailblazer. The inspiring true story of legendary American sailor and Jamestown native, Mike Plant. Spanning the decade from his arrival in professional offshore sailing in the mid 80's, the film follows Plant's daring spirit as he challenges both Mother Nature -- around the world alone on a sailboat -- and French dominance in the sport. Chris Perkel’s riveting profile of legendary music man Clive Davis spans a remarkable five-decade career, providing an incredible tour of the most sensational music of the cultural revolution, from the ’60s to the rise of hip-hop. Filmed with extraordinary access over the course of more than two years, the feature-length MAY IT LAST: A PORTRAIT OF THE AVETT BROTHERS chronicles the band, fronted by brothers Scott and Seth Avett, on the long journey from their rural North Carolina childhoods to topping the charts and selling out arenas, experiencing heartbreak, tragedy and joy along the way. Thirty years ago, a group of improbable heroes came together on a mission that was both medical and moral, and, by everyone’s estimation other than their own, highly unlikely to succeed. Their goal was simple but daring: to make high quality healthcare available to everyone, even in the world’s poorest countries. The film is an emotionally charged, dramatic and inspiring journey with brilliant and headstrong heroes. House of Z peeks past the glamour of the runway and the red carpet to show audiences a true portrait of Posen as both an artist and businessman. newportFILM is a year-round, non-profit documentary film series in Newport, Rhode Island that features established and emerging filmmakers and their current films, curated from film festivals around the world. newportFILM’s summer season brings the film experience outdoors amongst Aquidneck Island's most beautiful open-air spaces: thriving nature preserves, sprawling ocean-front lawns, elegant mansion gardens, public parks and working farms are just a sampling of the picturesque venues used. 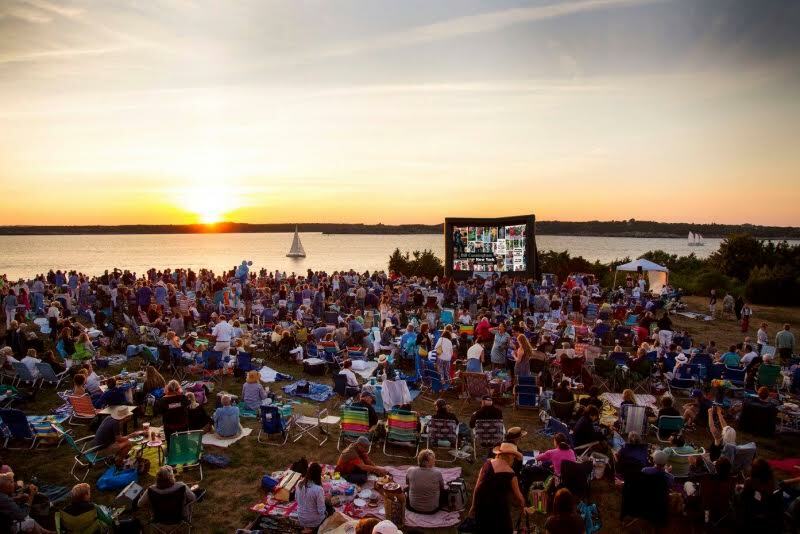 The newportFILM Outdoors summer series is presented by Lila Delman Real Estate International. Year round newportFILM sponsors are Franklin & Company Design Associates, Park South Hotel NYC, Kirby Perkins Construction and Lexington Partners. Pre-film music is sponsored by Kiel James Patrick and free popcorn is courtesy of St. Michael’s Country Day School.